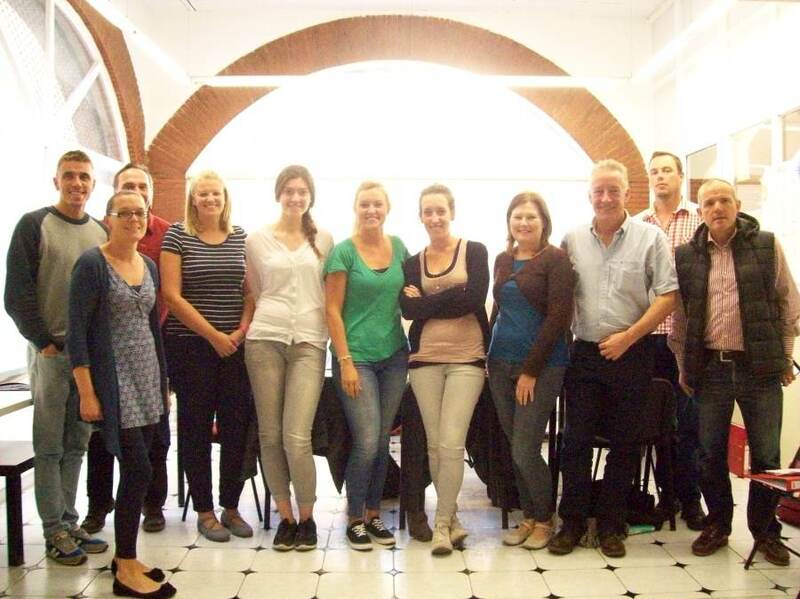 Georgia Copeland, one of our August Trinity CertTESOL trainees, describes how she fell in love with Malaga during her CertTESOL course and joined the TEFL community. The Trinity CertTESOL Certification course is intense; it´s no secret. It requires great time management and planning. 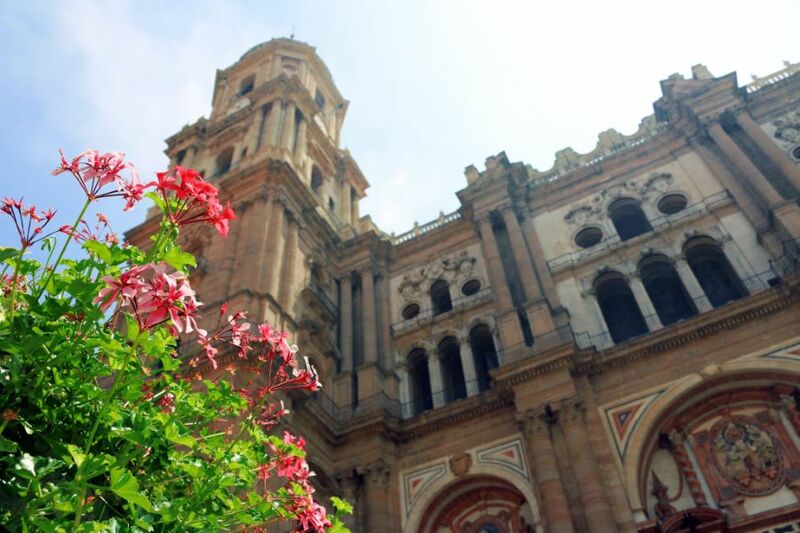 During my course in August, I would always plan at least one day on the weekends to explore and enjoy Malaga. The beaches here are spacious and sunny and the food is rich and flavorful. You can pick up a skewer full of slowly grilled anchovies at a beachside chiringuito or a cold daiquiri. On the winding cobblestone streets of the city center, a glass of wine and some jamon tapas are in order. There was no shortage of opportunity to stimulate my senses away from the books for a bit while getting my Trinity CertTESOL certificate in Malaga. Staying here after the TEFL course, though, has brought me even richer experiences with the people and city of Malaga. Now that I´ve settled into a routine, I’ve had more time to really dig into the beauty of Malaga. I love the hustle and bustle of a city, and Malaga offers as much people watching as one can handle. With the impeccable, colorful style of the Andalucian men and women, the colors and patterns of the painted plaster buildings brought to life by Malagueno street performers, and intricate cathedral carvings and Roman ruins, one can wander the streets endlessly and remain stimulated and entertained. As a woman with a constant yearning for the countryside, though, I´ve been wanting to explore a bit outside of Malaga city center for a while. I finally did. Before hitting the road, however, a fellow TEFL graduate birthday party was on the agenda. Trinity CertTESOL certificate holders in Malaga form a close community. There is a network of support for those who choose to stay and teach English in Malaga after the TEFL course, and we have lots of fun. Last Friday, we celebrated the recent graduate’s birthday at a house party, played some games, then went out bar hopping. Malaga has a lot of different bars and clubs in the city center. One of them was opened by exchange students who came to study here and ended up staying! Inside, they use a big yellow surfboard as one of the tables. Another bar is multi-level and is movie-themed. In fact, you can sip your gin and tonic beside a Hobbit statue. True to the Spanish way, the bars and clubs don´t fill up until after midnight, but when things do get started, they are packed with people having a fabulous time. Trinity CertTESOL graduates in Malaga become a second family, and we explore and live the Malagueno life together! I didn´t stay out until 4am that evening, because Saturday morning was an early one. My boyfriend and I woke up early and rented our own scooter for the day. You can rent a moped in Malaga with only a driver´s license and €35. I haven´t been in a car since I arrived in Malaga, because it´s so easy to walk everywhere here, so feeling the wind in my hair on a fast moped was phenomenal! We practiced driving a bit in a parking lot before setting off to the North. Beyond the Botanical Garden on the edge of the city center, a park called Montes de Malaga begins. We drove along a two-lane road that winds through a large expanse of mountainous land dotted with pine trees. The air smelled fresh and it was sunny, as it usually is in Malaga. The park is almost 5,000 hectares and is full of hiking trails and mountain biking paths. We parked the moped and hiked for a while, enjoying the quiet canyons and being in the woods. The park is such a beautiful place and so close to Malaga; it’s incredibly easy to visit on any weekend for a nature refresher. For those who don’t want to hike, you can ride along the edge of the park on your rented moped (highly suggested!) or a car, visiting various restaurants for tapas along the way. Feeling renewed by the trees and the high mountains, we cruised back down into the city. We were welcomed by a skyline of cathedrals and church spires and guided by the seashore. Sunset commenced as we took off our helmets and walked to a hole-in-the-wall bar for a beer and a nice Rugby viewing with a few other friends from my course. Another rich weekend in Malaga was underway. So much is to be experienced here with the Trinity CertTESOL community in Malaga, the bustling city life, and the stunning countryside. Cheers to the good life in Malaga! If you would like to find out more about the Trinity CertTESOL in Malaga click here, contact us or apply here. This entry was posted in Graduate Stories, South of Spain, TEFL, TESOL and tagged graduate, malaga, oxford tefl, TEFL, tesol, Trinity Cert TESOL by Fran Austin. Bookmark the permalink.